The European Court of Human Rights approved a complaint by a Turkish religious group regarding clothing regulations during hearings in Turkish courts. The case was filed by Müslüm Gündüz and 126 other members of the Aczmendi community, which describes itself as an Islamic order, reported broadcaster CNNTürk on Tuesday. The groups’ special attire consists of wearing black robes and a black turban, while males in the community have long beards. The court had already ruled in favor of Gündüz in two instances against Turkey, both in 2003 for violations of his freedom of expression, and in 2005, for violations of his right to a fair trial. The European court has now ruled that Aczmendis can attend court hearings in the outfit of their choice. Gündüz, who founded the Aczmendi community, graduated from an Elazığ evening school 1985 and is an alleged member of the Islamic Nurcu movement. 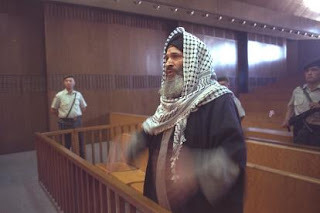 Today's Zaman has a different account of the case, reporting that the ECHR "ruled that the 1997 conviction of 127 Turkish citizens for a breach both of the law on the wearing of headgear and of the rules on the wearing of certain garments, specifically religious garments, in public other than for religious ceremonies were found to be a violation of Article 9 of the convention." According to the Today's Zaman article, "the [Aczmendis] met in Ankara for a religious ceremony held at the Kocatepe Mosque. They toured the city streets while wearing the distinctive dress of their group, which comprised a turban, şalvar (baggy trousers), a tunic and a stick. Following various incidents on the same day, they were arrested and placed in police custody." However, neither Today's Zaman nor Hurriyet Daily News have the entire story. In fact, the ECHR ruled that the Aczmendis, in this particular circumstance, could not be convicted (as they had been in 1997) for wearing religious garb in "public." Also, contrary to the Hurriyet Daily News, public places are not limited to "hearings," but all public places, including the march the group held. Generally both papers reporting is much better, but perhaps the ECHR is still a difficult subject on which to report since it is a bit different system about which Turkish opinion leaders have learned a lot in only the past few years as its decisions have come to play a greater role. It was established that the applicants had not received criminal-law convictions for indiscipline or lack of respect before the State Security Court, but rather for their manner of dressing in public areas that were open to everyone (such as public streets or squares), a manner that was held to be contrary to the legislative provisions. The applicants’ conviction for having worn the clothing in question fell within the ambit of Article 9 – which protected, among other things, the freedom to manifest one’s religious beliefs – since the applicants were members of a religious group and considered that their religion required them to dress in that manner. Accordingly, the Turkish courts’ decisions had amounted to interference in the applicants’ freedom of conscience and religion, the legal basis for which was not contested (the law on the wearing of headgear and regulations on the wearing of certain garments in public). It could be accepted, particularly given the importance of the principle of secularism for the democratic system in Turkey, that this interference pursued the legitimate aims of protection of public safety, prevention of disorder and protection of the rights and freedoms of others. However, the sole reasoning given by the Turkish courts had consisted in a reference to the legal provisions and, on appeal, a finding that the disputed conviction was in conformity with the law. The Court further emphasised that this case concerned punishment [Emphasis Added] for the wearing of particular dress in public areas that were open to all [Emphasis Added], and not, as in other cases that it had had to judge, regulation of the wearing of religious symbols in public establishments, where religious neutrality might take precedence over the right to manifest one’s religion. In a 2005 ruling, Leyla Sahin v. Turkey, the ECHR ruled Turkey had a legitimate interest in banning the headscarf (türban) in public universities and other state institutions.